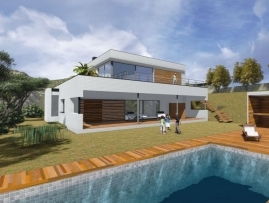 We present the 3D animation of house 243, a detached house situated at the begining of the "Montserrat" mountain. It's minimalist house. You can view 3D animation and other photos in the link 243.